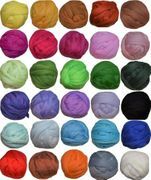 30 qty merino wool roving pieces in beautiful assorted colors for felting. You will get 5g (0.18 oz) of each color, stored in a clear, resealable ziplock. It is very easy to pick up the color you need. 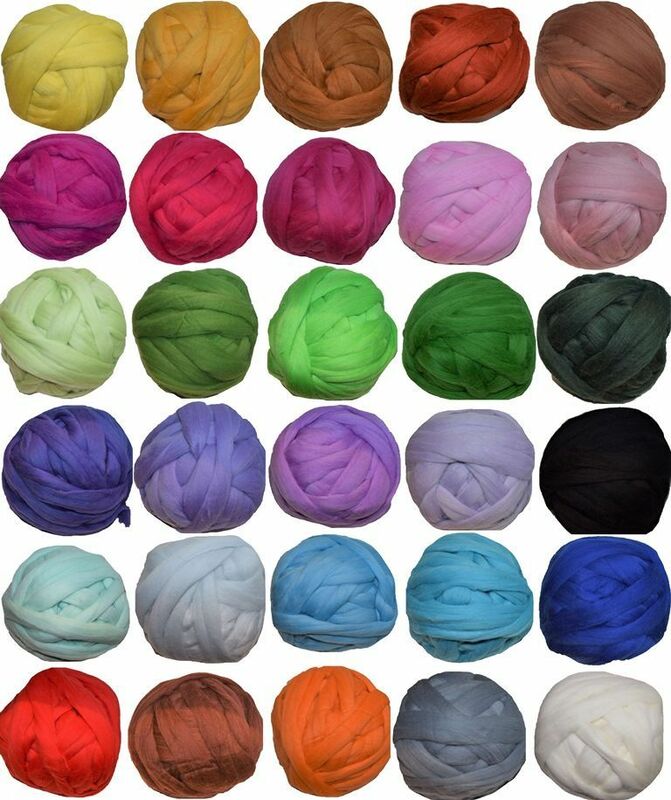 Total 150 g. You will be able to get a ton of colors to work with while not breaking the bank. 100% Merino wool, 21 mic, no lumps or over-dyed areas. 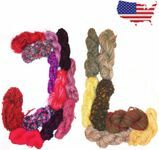 It is for both needle felting and wet felting technique, felted soap, amigurumi animals and etc. It isn't yarn. It is wool roving fiber which is used for felting. A loose wool for punching, it is not ready for knitting or crocheting.